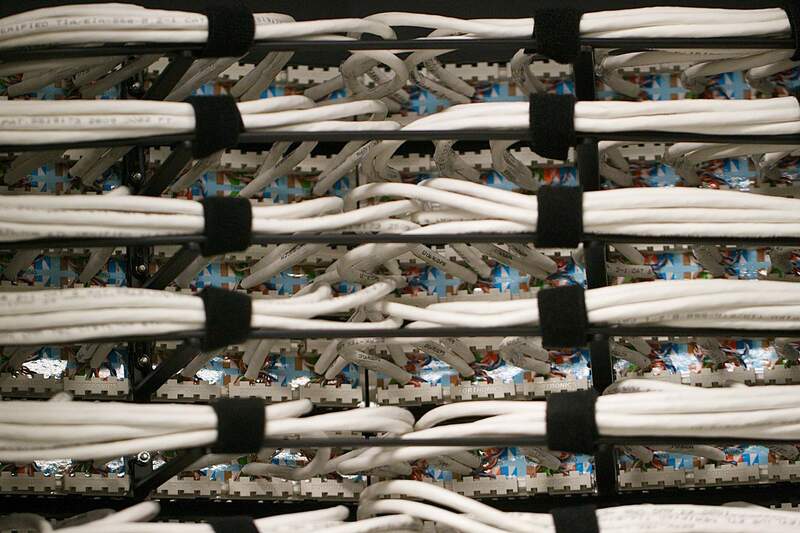 A Structured Cabling System (SCS) provides a universal platform upon which an overall IT strategy is built. A SCS supports a flexible cabling infrastructure that can support multiple voice, data, video and multimedia systems regardless of their manufacturer. When properly designed and implemented, the SCS takes into consideration the rising tide of IP convergence we are experiencing in the industry. Performance demands on cabling infrastructures will continue to increase, with the most significant activity occurring in the move from 10/100/1000 Mbs to 10/ 40/ 100 Gbs transmission over the next few years. Installing high bandwidth cabling system can really pay off in terms of the TCO/ ROI as it relates to your facility. Premiere has the experience to help our clients understand how to implement the best solution as it relates to their facility life cycle and their specific IT strategy over the course of that time. We take each client’s specific requirements, conditions, and future plans into consideration when we enter into a Design- Build- Maintain engagement. You’ll find that an investment in quality components that exceed the minimum standards, in conjunction with a quality installation, will ensure your network performs at its intended level and function under your specific operating conditions. All of our structured cabling projects follow the BICSI installation guidelines, for horizontal and backbone distribution transport systems, and Premiere is certified to support all the major tier one solutions in our industry today. We look forward to helping you solve the challenges associated with planning the foundation of your Network Infrastructure.